Discussion in 'Archive' started by GM Amarantha, Aug 16, 2016. As you could notice it's been long enough since we had some Shirt stuff in L2Store. Today we're gonna change this situation and add new interesting packages to L2Store. You can find either ordinary scrolls for Shirt enchantment or new unique Destruction Scroll inside! 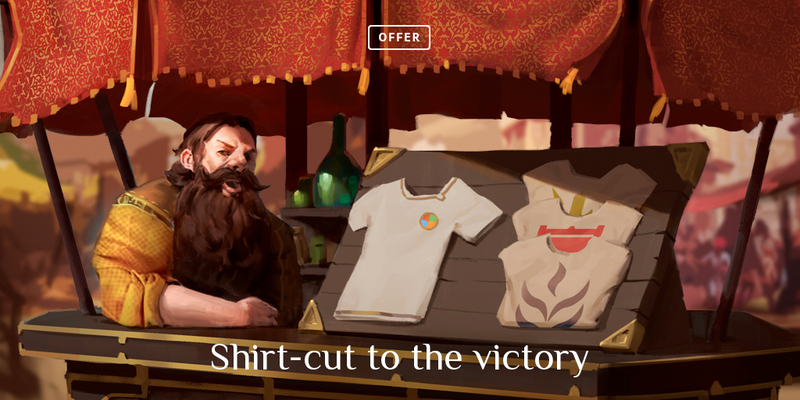 Don't lose the rare chance to enchant all your Shirts to +8 during 2 weeks of this unique offer! New goods are added to L2Store for 2 weeks: from the 16th to the 30th of August. On August 30th unique packages will be deleted from L2Store. Previously purchased ones will remain after offer's ending. Welcome new packages with familiar Shirts and new enchant scrolls! 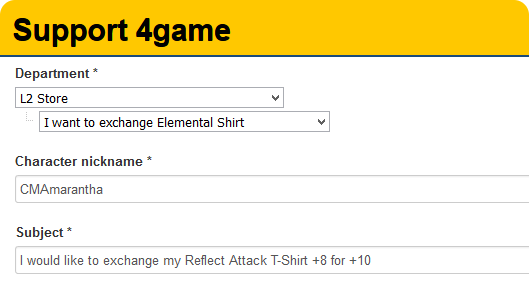 If you are lucky enough you'll get a new unique Destruction Scroll: Enchant Elemental Shirt. This one preserves Shirt enchant value in case of failed enchantment attempt! As you already know, we had a permanent offer "Exchange Shirt +8 for +10 with Support help". In order to save players' time we decided to upgrade this feature. From now on, all unnecessary actions are in past! 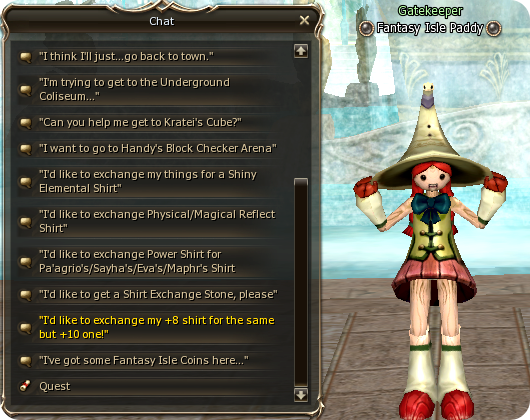 You can exchange your +8 Shirts for +10 Shirts at Paddy's on Fantasy Isle. Address to Paddy at any time and she will gladly exchange your enchanted +8 Shirt for the same one, but + 10. 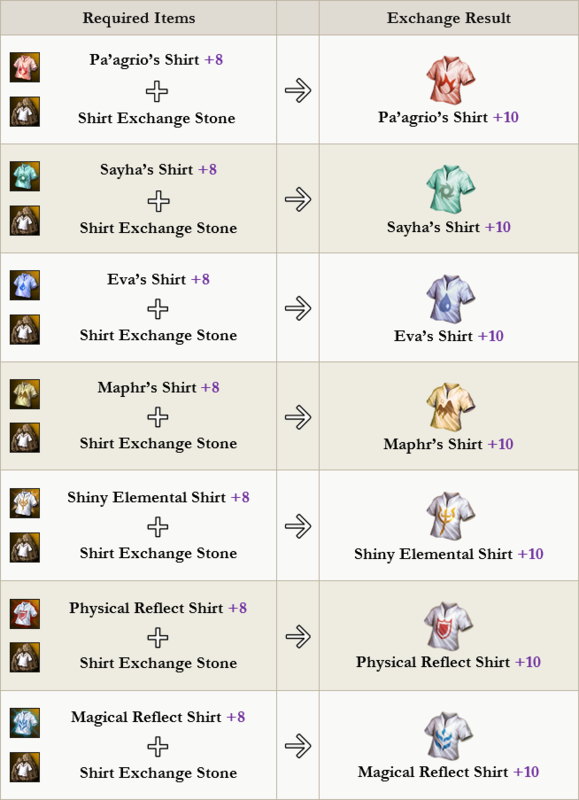 Don't forget to bring Shirt Exchange Stone! To make the new exchange option easier to find we highlighted it with yellow color in NPC's dialogue. In the table below you can see all the variants of exchanging Shirt +8 for +10 one. They were formerly carried out by Support Service Managers and now are available at any time at Paddy's. Malyzinha and -V77- like this.